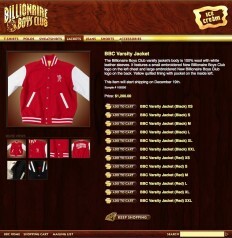 December 11th, 2005 – the day we launched the Billionaire Boys Club site. Back in the days before the iPhone, when websites were heavy with Flash and nobody was looking at the internet on their telephones! For today only, we’re bringing back the classic rocket spinner on the homepage, and they’re offering a 20% off coupon code all day. We’ve been lucky at Fishbucket to have such great clients, and this decade of working with BBC has been awesome. Big thanks to the whole BBC family, especially Loic and Mimi! 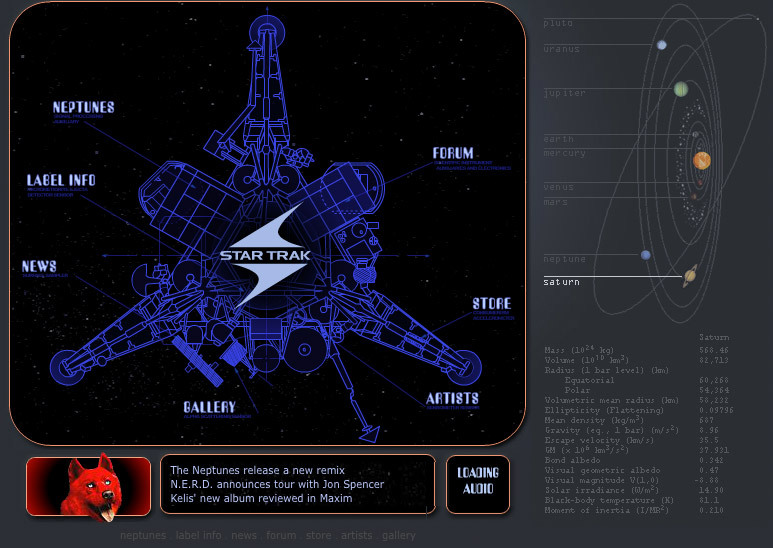 There’s been a lot of interest and nostalgia going around twitter about the old Star Trak site (largely thanks to the Fader article) so I dug back in the archives, and look what I found! 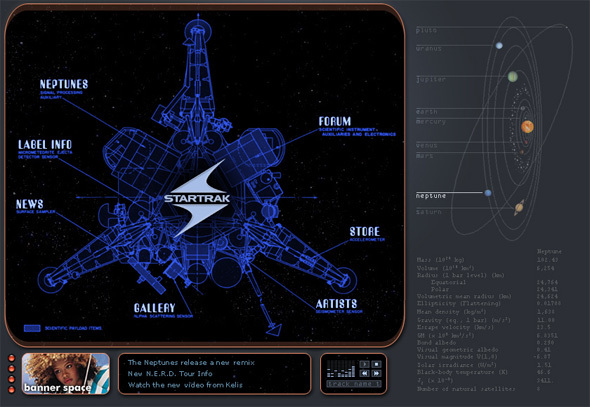 Ten years ago today, the first Star Trak site launched. The project that basically started my career. I built the site with Nirav, another friend & coworker at the day job. He built a forum from scratch, (these were the days before you could click an “Install Forum” button with your web host and get one running with your eyes closed.) That forum was quirky and odd and unlike any of the other forums we’d seen. 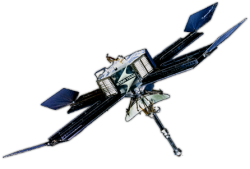 Admittedly it was hard to use and easy to hack, (which the fans helpfully showed us on numerous occasions,) but it was fun. So yes. Long story short, the site launched ten years ago today. That night I posted on some other sites to say it was up, and watched. I only had to wait a few minutes before the forum started filling up with posts. 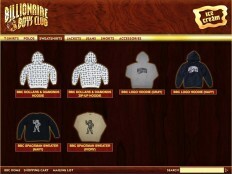 The quirky little site I’d spent all those nights and weekends on was a success. Within a year, I parted ways with my employer and set out to work on my own, and the results of the past decade can be seen at a glance over here. Big thanks go out to Loic, who directed that project (and many more since then)… Heather and Nirav, for all their work on that first site… Pharrell and Chad, and the whole Star Trak family over the years. I mentioned this on twitter earlier, but — Sixteen years ago today, I launched my first website. 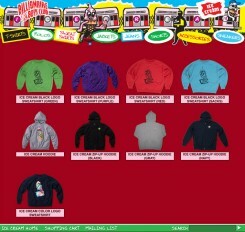 The homepage (I’m sorry, funky homepage,) still exists. Unfortunately at the time I didn’t set aside the first version of the other pages, but this gives a pretty good idea of the high caliber of web design I was working with at the time. 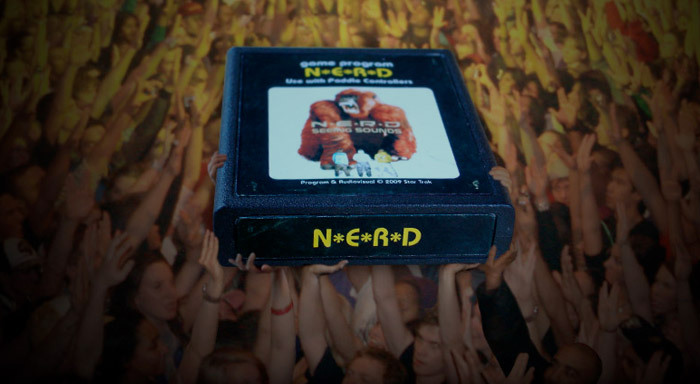 Fans of the 2009 N*E*R*D site should recall the large cartridge that the crowd held up on the intro page. Well, that was actually just one of many different fake cartridges that I created. Here’s the story of a concept that didn’t quite fit in with the rest of the site so it wasn’t used. 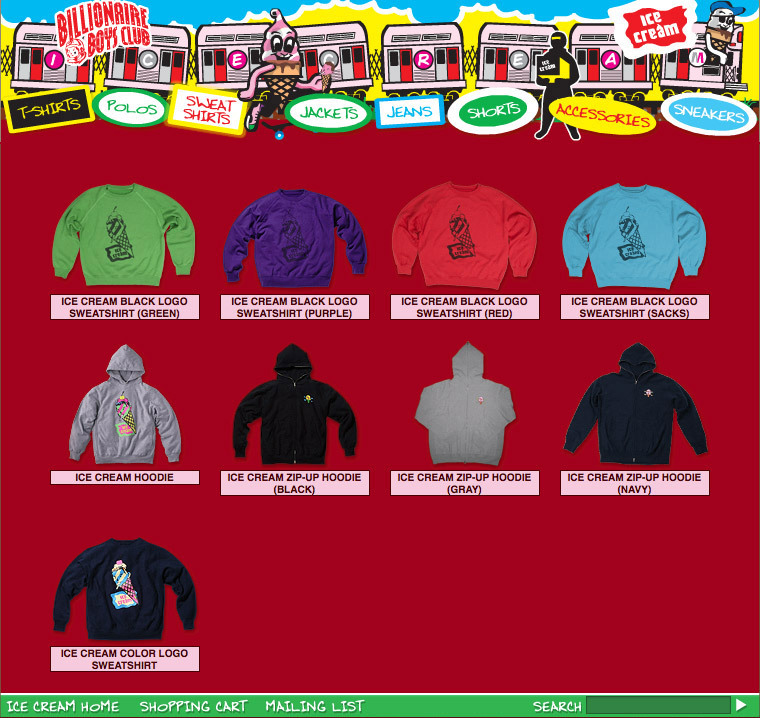 Back in December 2008, I was brought onboard to redo the official site for N*E*R*D. Another company had been working on it, but the band wasn’t happy with the direction they were going in. I was soon on a call with Pharrell, who was detailing his concepts for the new site: an old-school Atari theme. This got some wheels churning. As luck would have it, a friend I’ve known since 3rd grade is a big Atari fan and has a pretty large collection. We arranged for him to send me a package of games, controllers and a system. I wasn’t exactly sure what I’d do with them, but hoped that the gear would spark some ideas. And they did! I love those old, classic cartridges. The labels, the graphics, the way they were all worn down from years of use and abuse. 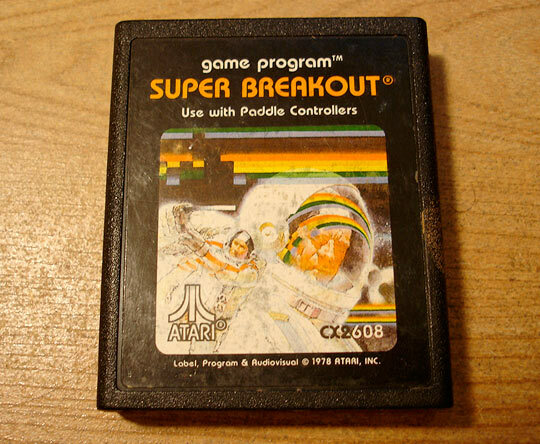 I didn’t have an Atari growing up, (we were a Commodore family,) but it took me back. In 2005-2007 I did a lot of work for Hollywood Records, which included a bunch of websites for teen pop acts. Most of those projects haven’t made it into the new portfolio yet, but I figured it was a good time to dig this one up. It was an all-Flash site, and was her official site for about two years. Best of luck to Vanessa! 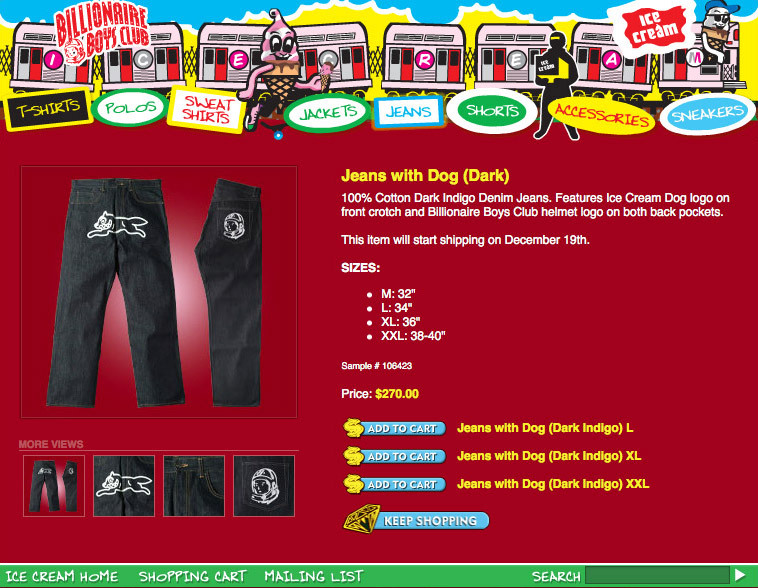 Digging through the vault… it’s kinda weird to look back at things I designed years ago. I’ll see what I can dig up and share. 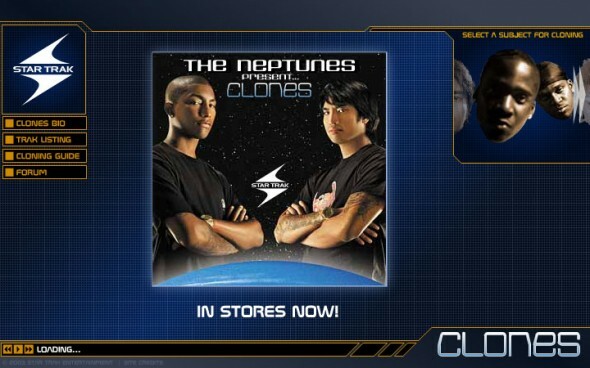 This one was a mini-site promoting the Neptunes compilation album CLONES, launched summer 2003. Angled lines and grids, oh my! 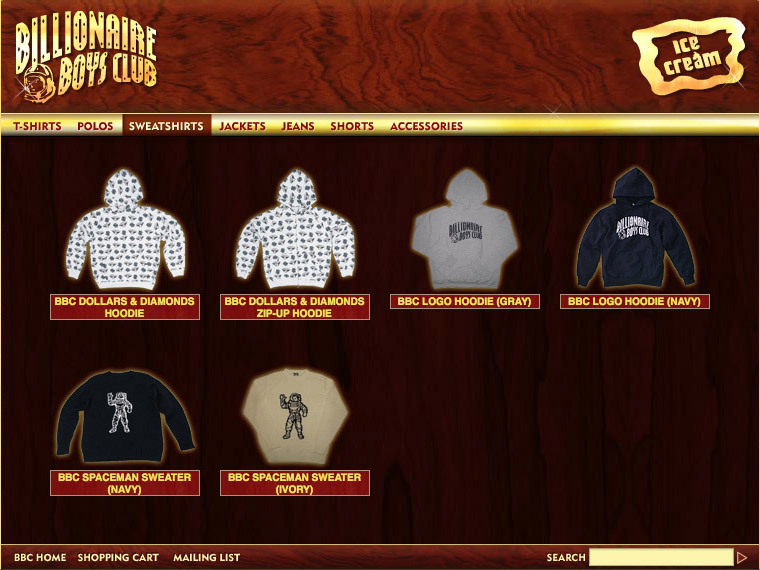 Click for more screens. 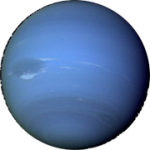 There was an easter egg in this site involving the Neptunes and a sheep, but that’s a post for another day!